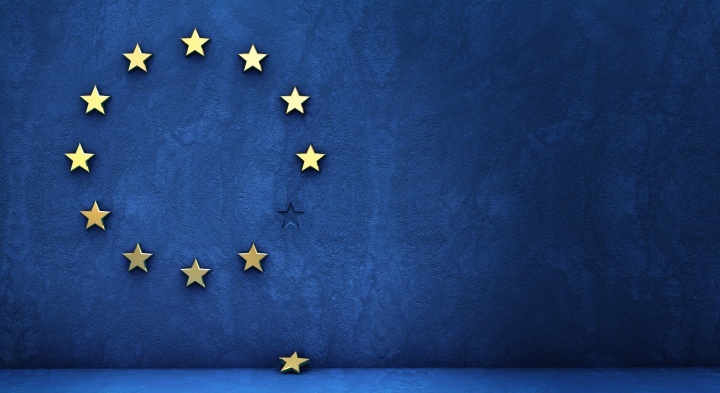 THE BEADY EYE ASK’S : WILL THE EUROPEAN UNION SURVIVE AFTER BREXIT. Posted by bobdillon33@gmail.com in European Commission., European Union. No matter how you view the European Union it was born out of the ruins of Europe after two world wars and has been mainly responsible for keeping Europe peaceful ever since. The great paradox of the European Union is that it has tried to unify Europe with uniform regulations and institutions, but these have instead generated disunion between the member states- Brexit. IF BREXIT RESULTS IN ENGLAND ARCHIVING A DEAL THAT REFLECTS THE DILUTION OF ANY OF THE BENEFITS ON ANY OF THE REMAINING MEMBERS IT WILL BE THE SLIPPERY SLOPE NOT JUST TO THE FOUNDATIONS OF THE SINGLE MARKET BUT TO THE WHOLE OF THE EUROPEAN UNION. This compounded by the problems caused by the euro it could well not survive in its present form. Above all, the Euro introduced at the end of the last century has sharply divided Europe between debtor and creditor nations, and now threatens the integrity of the EU. If Italy goes bust it will simply fall out of the euro, risking the survival of the entire Eurozone. Italy unlike Greece is too big to be bailed out. It’s now entirely conceivable that Italy or another Eurozone member state will one day unilaterally restore a national currency and defy the EU to stop it. The Greek debacle neatly encapsulates the internal contradictions of the euro. The EU is perfectly aware that its lack of accountability poses a legitimacy problem in a continent where nation states still enjoy the allegiance of their populations. It’s pretty clear that Europe needs a new constitutional settlement. 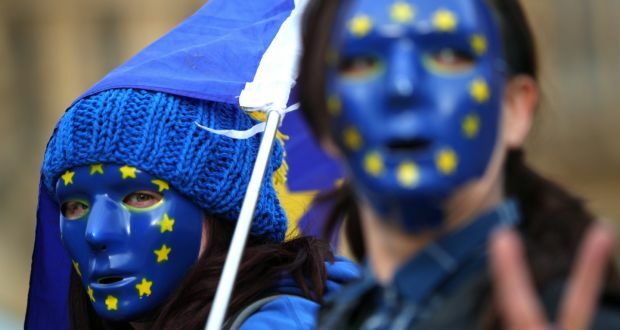 Europe’s core national identities have resisted the EU’s attempt to replace them with a wholesale European identity, even though Europeans generally do also subscribe to a European identity. A reformed European Union would therefore ideally move away from being a super-state in the making and seek to create unity out of that diversity. My own hope is that Brexit will help to preserve European unity by triggering the necessary reform. IF THE EU REMAINS BLINKERED IT ONLY HAS TO LOOK AT THE RISE OF POPULIST MOVEMENTS AND PARTIES WHICH ARE DUE TO UNCONTROLLED INFLUX OF IMMIGRANTS AND THE HIGH PERCENTAGE OF YOUTH UNEMPLOYED IN ITS SOUTHERN MEMBER STATES. IF NOT RESOLVED EUROPEAN POLITICS WILL HAVE NO OPTION BUT TO RETURN NATIONALISM. There is no alternative to the difficult reforms. They are needed in order to ensure that future generations won’t pick up the bill for past generations’ mistakes. 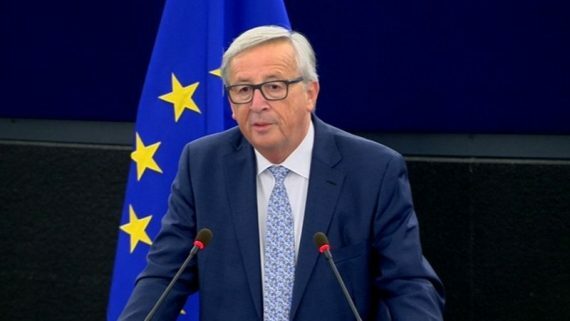 Any European association that succeeded the European Union would have to return some powers to the member states and would have to abandon or reform the single currency. IT COULD START BY SCRAPPING THE NEEDLESS WASTE OF TAX PAYERS MONEY IN ASSOCIATION WITH MOVING ITS PARLEMENT BETWEEN STRASBOURG AND BRUSSELS – €109 million per year. Further €5 million savings would come from the reduction of the travel expenses in the budgets of the European Commission and the Council. The future of the EU is more reliant on public support for its continued legitimacy than ever before. Is it the driver of recent Eurosceptic party success, or do national conditions and evaluations play a more important role? And finally, when does Eurosceptic public opinion have the ability to constrain the preferences of elites who shape jurisdictional choices in Europe? There is an expanding rift between different types of skeptics within and across countries in terms of what they want from the EU. One way for the EU to deal with different constituencies might be to fully embrace the diversity within its borders and provide more differentiated and flexible policy solutions. Perhaps successful integration should not be defined as a form of harmonization or even homogenization, but rather be rooted in the principle of flexibility. A flexible rather than fixed end goal could prove a strong argument for the public to stick with the European project, even though it is fundamentally divided about what it wants from Europe. THE BEADY EYE SAY’S: THIS COULD BE A GOOD TIME TO REMIND IRELAND AND NORTHERN IRELAND AND ENGLAND WHY THE BORDER BETWEEN IRELAND AND NORTHERN IRELAND EXISTS. Posted by bobdillon33@gmail.com in Brexit v EU - Negotiations., Brexit., England EU Referendum IN or Out., European Commission., European Union., Fake News., Norther Ireland, Northern Ireland Border., Politics., Post - truth politics., The Irish/ Northern Ireland border., The Obvious., Unanswered Questions. THIS IS MY HISTORICAL UNDERSTANDING. In October 1921 Lord George convened a conference in London in which he and other leading statesmen of Britain met with Irish envoys of the De Valera’s Irish Government. The resulting treaty signed on the 6 of December recognized the Free State of Ireland as a dominion with full powers of self-government and determination but leaving England the control of certain harbors for purposes of defense. This treaty which created the Irish Free State had a clause which ensured that Northern Ireland could opt out of the deal – which they did. SO THE DEMAND FOR AN OUT AND OUT REPUBLIC WAS DROPPED AND THE RIGHT TO MAINTAIN ITS OWN EXCLUSION FROM IRELAND WAS ADMITTED FOR THE UNIT OF SIX COUNTIES CALLED ULSTER WHICH IS NOW CALLED NORTHERN IRELAND. IN FACT, ULSTER HAD ALREADY VOTED ITSELF OUT OF A UNITED IRELAND AND THOUGH PROVISION WAS MADE FOR RE-UNION UNDER ONE PARLIAMENT AT SOME FUTURE DATE IT WAS A DATE NONE COULD FORESEE. When De Valera was presented with the terms of the treaty he opposed it however it was ratified on the 7th Jan 1922 by 64 votes to 57. De Valera resigned and a civil war commenced from the 28 June 1922 – 24 May 1923. This conflict followed the Irish War of Independence and accompanied the establishment of the Irish Free State, an entity independent from the United Kingdom but within the British Empire. 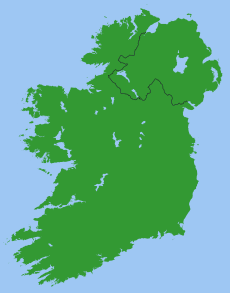 Northern Ireland was created as a separate legal entity on 3 May 1921 resulting in Ireland partitioned into two states with six of the nine counties of the Province of Ulster remaining in the United Kingdom. The Unionist politicians to this day refer to Northern Ireland as Ulster which it is not. Any historical record will show that it is an organized plantation by Great Britain which was begun in 1609. The colonization of Ulster had been proposed since the end of the Nine-year war to reward Scottish subjects loyal to King James with land. IT LEAD TO THE NATIVE IRISH LOSING THEIR LAND AND TO ETHIC AND SECTARIAN CONFLICT WE HAVE WITTINESS TO THIS DAY. WITH NORTHERN IRELAND NOW ON THE VERGE OF A NEW WORLD RECORD – FOR NO GOVERNMENT. The only Brexit supporters are the Democratic Unionists – who opposed marriage equality, opposed language rights and the funding of inquests to victims of the conflict. AFTER DECADES OF REPUGNANT VIOLENCE ON BOTH SIDE THE GOOD FRIDAY AGREEMENT OF TWENTY YEARS AGO DEFERRING MAJOR ISSUES. THE NEED FOR A VISIBLE BORDER FOR ALL INITIATIVE PURPOSED WAS REMOVED. HOWEVER, THE CONTINUING INFLICTED HISTORICAL AFTER MATE OF PARTITION HAS NOT COME TO AN END OR HAS IT WITH THE ADVENT OF BREXIT. The tenuous foundation of the Good Friday agreement is now once more putting the question of reunification back on the agenda. Because Northern Ireland vote to stay in the European Union. THE GOOD FRIDAY AGREEMENT UNFORTUNATELY REINFORCES THE UNDERLYING SECTARIANISM THAT EXISTS IN AS MUCH AS IT DOES NOT ADDRESS THE SOURCE OF THE BORDER. ALTHOUGH IT ACKNOWLEDGES THE CONTINUING AND EQUALLY LEGITIMATE POLITICAL ASPERATIONS OF EACH SIDE AND ALLOWS THE POSSIBILITY OF A REFERENDUM IF THE MAJORITIES IN NORTHERN IRELAND AND IRELAND WANT IT. Brexit is now creating its own type of limbo. WITH THE IDENTITY ISSUES REOPENING THE BORDER Neither Unionists or Nationalists are preparing their constituencies for a compromise. This position is profoundly undemocratic. The Good Friday agreement belongs only to the people of Ireland north and south – it is not a Tory Brexiteer bargaining chip. THE BEADY EYE CALLS ON IRELAND AS A NATION TO CALL ON ITS IRISH UK RESIDENTS TO SUPPORT STAYING IN THE EUROPEAN UNION. Posted by bobdillon33@gmail.com in 2018: The Year of Disconnection., Articular 50., Brexit v EU - Negotiations., Brexit., Democracy, England EU Referendum IN or Out., England., European Commission., European Union., Modern Day Democracy., Politics., Populism., Post - truth politics., The Irish/ Northern Ireland border., The Obvious., Trade Agreements., Unanswered Questions. BREXIT JUST LIKE THE FAMINE ONE HUNDRED AND SEVENTY-FIVE YEARS AGO WILL BE A WATERSHED IN THE HISTORY OF IRELAND. Ireland is once more faced with the indifference of the English who when voting to leave the European Union had no consideration for its closes and biggest trading partner. It would be fair to say like the Famine that Ireland will be once more the sacrificial lamb of the British political ambitions. There are few democratic countries (where two out of its regions voted to stay and when combined with the two leave regions the overall majority was only a 3.8% majority.) that would act on a nonlegal binding referendum which was conducted against a background of lies. One would think that a majority of at least 5% ON SUCH AN IMPORTANT ISSUE WOULD BE A REASONABLE REQUIREMENT. If England looked after its people first rather than the glory of a past empire Brexit probably would have never happened. It was the dysfunctional economy of Britain that fueling the leave vote, not immigration. On top of all of this when you see how different generations voted in the Brexit you realize that the relationship between different age groups in England is broken. ONE WAY OR THE OTHER IT IS NOW HELL BENT ON DELIVERING THE WORST OF BOTH WORLD; IN OUR OUT. Big business versus the Nigel Farage’s of this world with a handful of Conservatives such as Micheal Gove, Boris Johnson a few Labour MPs. At the moment dogs cats and ferrets can travel between the UK AND THE EU. Maybe after all of this, all UK citizens will be required to be micro-chipped against Brexit rabies. SO WE ARE LEFT WITH THE REALITY THAT THE POST BREXIT TRADE DEAL IS GOING TO BE THE MOST COMPLEX PART OF ANY NEGOTIATED DEAL AS IT HAS TO BE UNANIMOUS APPROVED BY 30 NATIONAL AND REGIONAL PARLIAMENTS SOME OF WHICH WILL NO DOUBT HOLD THEIR OWN REFERENDUMS. ALL OF WHICH POINTS TO NO DEAL, AND YEARS OF BATTLING IT OUT IN COURTS PROCEEDINGS WITH A MASSIVE DIVORCE BILL TO BOTH SIDES. SO THE QUESTION IS; WILL THERE BE ANOTHER UK REFERENDUM. To rejoin would mean starting from scratch, with no rebates, the lost of sterling with and all current member agreeing to the UK rejoining. As for clout outside the EU. A UK in disarray will have a much influence on the world stage as the DUP is willing to give it at a price. Forming its own Trade area is an artificial intelligence algorithm yet to be invented. However, there is a way out of all of this. The UK abdicates its powers to NORTHERN IRELAND. ITS CITIZENS BORN AND TO BE BORN HAVE THE ABSOLUTE RIGHT TO CARRY BOTH UK PASSPORTS AND IRISH – THUS FUTURE ENGLISH GENERATIONS CAN REMAIN IN THE THE EU. ALL THEY WILL HAVE TO REMEMBER IS TO CARRY YOUR IRISH PASSPORT WHEN YOU ARE JOINING THE EU CITIZENS – ONLY QUEUE AT THE AIRPORT. IT WOULD AVOID A HUGE LOSS OF FACE ON ALL SIDES. The English don’t appear to understand that the European Union is governed by rules for a reason. That reason is simple to understand. 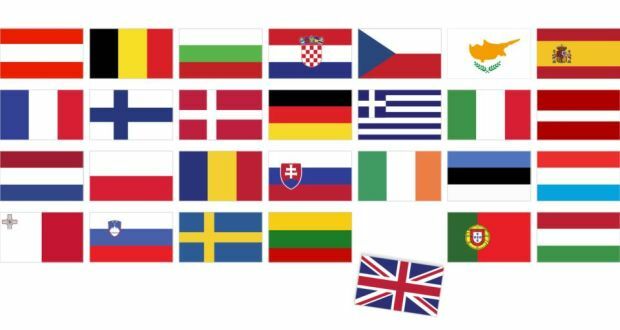 The European Union is made up of countries that don’t quite trust each other. They need rules to function, with an independent court to settle any problems. Whoever thought that Northern Ireland would unite not just Ireland but the whole of the UK. THE BEADY EYE ASKS: SHOULD THE EU GRANT ENGLAND A TRANSITION PERIOD. Posted by bobdillon33@gmail.com in Brexit v EU - Negotiations., Brexit., England., European Commission., European Union., The Irish/ Northern Ireland border., The Obvious., Unanswered Questions., What needs to change in European Union. Brexit v EU - Negotiations., Brexit., Forthcoming Brexit Negotiations. MY VIEW IS THAT THERE SHOULD BE NO TRANSITS PERIOD. The cake metaphors in the modern world have outlived their usefulness – if they are applied not only to spheres where they do apply (such as attempting to be an internal market member without the obligations of the four freedoms) it will destabilize what is left of good will in European Union. A DEAL IS A DEAL: WHEN ITS AGREED NOT BEFORE OR AFTER. YOU CAN’T HAVE ONE FOOT IN THE DOOR AND THE OTHER OUTSIDE. England’s Brexit agenda is both contradictory and fantastical. Enjoy unfettered access to the single market, WHILE implementing a deals that is one way or the other will be damaging to the EU. You don’t have to a genius to know that any shared history, shared challenges, or shared future is now pie in the sky. The exact relationship the UK would have or will have with the EU during the transition is not clear. The timescales for settling the future relationship are unknown – and could make a significant difference to the final destination. The UK guarantee that it would be time-limited, with a period of about two years – although this period could potentially change for different issues, is political hog wash.
more unpredictable, particularly given the very strong likelihood of a change of Conservative Prime Minister sometime between 2019 and 2021, which could push the current government into a harder position on Brexit. Not to mention the Rock of Gib, Scotland and Ireland’s positions. 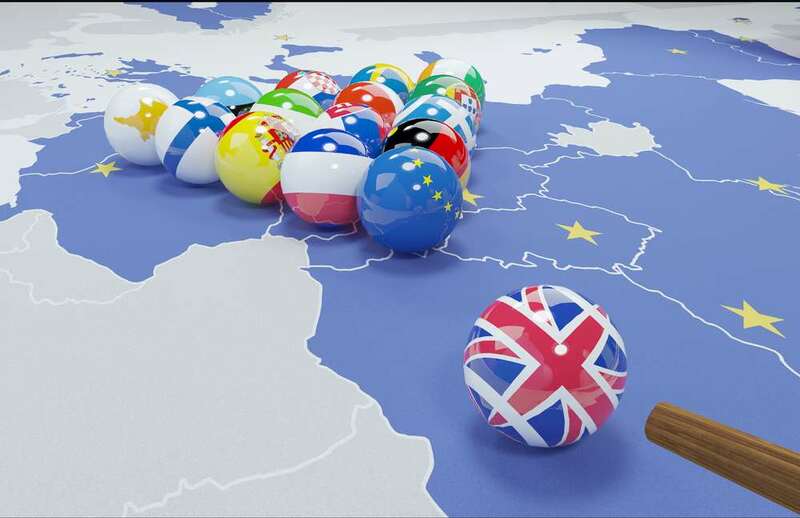 If the Article 50 period was extended, the UK would continue to be a member of the EU, when EU acquis on the Single Market applied even though the UK had left, and one suggestion is that this could be achieved through UK membership of the European Economic Area (EEA). Another could be that the UK simply commits to continue to apply all EU rules and regulations. for the EU 27 as for the UK. All of the above scenario’s are a disaster in waiting to happen. Because a transitional deal would also change the British politics of Brexit in ways that have not been fully anticipated. A transition deal would end any realistic prospects of a ›referendum on the deal‹ in its predominant form, where it is a strategy of Remain advocates to seek a choice between a negotiated Brexit deal, and the status quo of remaining in the EU. A transition phase is largely regarded as kicking the can down the road – and so not resolving the major choices about the long-term settlement. The British do want a Brexit deal – but worry about the consequences of admitting this. The UK government is proposing a ›special partnership‹ but this does not address some of the key choices which the UK and the EU will face over the next two years. implying a political declaration as to the shared objectives of a future negotiation. But beyond these, they become a barrier to the negotiation of what, if anything, can be negotiated, in an equitable way, between a full EEA-style relationship and a clean break on WTO terms. If it is accepted that it is not possible to both have and eat cake, the question of whether and how it is possible to agree on how to slice a cake fairly could become more relevant. In an ideal world, the British would prefer to have their cake and eat it on the markets / migration trade-off. The orthodox view is that a transition simply delays all of the key decisions – but a transitional deal could shift the medium-term British politics of Brexit more than is appreciated. The bespoke British ›Goldilocks Brexit‹ would be warmer than Canada, but cooler than Norway – but whether such a possibility exist will depend on what the EU 27 want too. The British do not know what they want‹ is a common criticism among European politicians and officials. If Europe wants to survive there can be no transition. Everything must be settled in the current negotiations deal or no deal. Learning the lessons of the past decade, WE HAVE TO WAIT TO SEE HOW FAR THIS LOGIC GOES. Broadly I think we have landed in the right place and I take some comfort from being flanked on both sides of the argument. In or Out. Doing all of these things efficiently and effectively relies on a strong degree of trust and co-operation between England and the Eu. But the EU must plan, in a proportionate way, for alternative outcomes. Just imagine two-year of; We did not agree to this or that. The real difficulties will be over the shape of Brexit. The British need a transition – so can (probably) make the compromises needed to get it. All human comments mush appreciated. All like clicks chucked in the bin. THE BEADY EYE SAYS. IRELAND REMAINS AT THE MERCY OF ENGLAND. Posted by bobdillon33@gmail.com in Brexit v EU - Negotiations., Brexit., England EU Referendum IN or Out., England., European Commission., European Union., The Irish/ Northern Ireland border., Unanswered Questions. Brexit v EU - Negotiations., Brexit., European Union, Forthcoming Brexit Negotiations., The Irish/ Northern Ireland border. This post is a follow on from my open letter to Mrs A Foster leader of the DUP. No other country is going to feel the fallout from the UK’s vote to leave the European Union more than Ireland. Every single aspect of life in Northern Ireland and Ireland will be affected by the outcome — jobs, the economy, the border, the rights of EU citizens, the rights of cross-border workers, research funding … trade, agriculture, energy, fisheries, aviation, EU funding, tourism, public services, the list goes on. The border was first set up in 1921 following the Irish War of Independence. Customs controls were brought in three years later with a heavy military presence which remained pretty consistent for the next 70 years. It wasn’t until about 2005 until all the remaining controls were removed with a shared control of the British & Irish border between the two countries. The question is how Ireland’s politicians and executives, react to what could be a foreign-policy crisis that eclipses the nation’s banking collapse and bailout. It’s hard to prepare detailed plans before the exact nature of the UK’s new relationship with the EU becomes clear, BUT THE MOST OBVIOUS ISSUE is the 310-mile border between the north and the republic. The Good Friday Agreement, which ended decades of sectarian conflict, had no position on the vote. The unfortunate reality is that Ireland remains at the mercy of the unfolding drama in its closest neighbor and the rest of the EU that will require Ireland to establish a hard border to protect the integrity of the Internal Market and the Customs Union irrelevant of the danger of a return to civil strife on the island. If this circle cannot be squared the Uk it will exit the EU without a deal. This will be the ‘ hardest’ of the ‘hard Brexit’ possibilities. A hard Brexit typically entails defaulting to World Trade Organisation rules, involving a very significant deterioration in trade relationship between the UK and the EU, and therefore between Ireland and Northern Ireland and the UK as a whole. Either the British deny the unionist community in Northern Ireland a veto, or the EU and the Irish government accept a land border on the island of Ireland. A hard border would reintroduce that sense of divide again between the north and south which was nearing the point of becoming a thing of the past. Northern Ireland voted to remain in the EU Referendum by a majority of 56% to 44%. Overall, 440,437 people in Northern Ireland voted to Remain in the EU and 349,442 to Leave. Out of 18 constituencies, 11 voted to stay in the European Union. Arlene Foster said that as a leader of unionism, she felt it was the right decision. “We are now entering a new era of an even stronger United Kingdom. ” Affirmation that she is void of any comprehension of what a majority means. The reality is that the people of the north of Ireland overwhelmingly voted in favor of Remain – both republican and unionist, Catholic and Protestant and those of no faith background. From start to finish, she along with Conservative Brexiters have shown that they simply could not care less about Ireland. In the referendum campaign, few gave even a passing thought to the impact of a leave vote on the relationship between Northern Ireland, the rest of the UK and the republic. When the vote went their way – though they lost in Northern Ireland – the Brexiters then gave bland assurances that the decision would make absolutely no difference to the island’s soft border, the legacy of the peace process, or north-south and east-west cooperation. This was and is nonsense. Brexit is not occurring in a vacuum, bad blood engendered if the UK leaves the EU without a deal it will spill over into other areas. Given the political debacle that’s being made of Brexit by a dysfunctional UK administration, opinion polls in Ireland reflect no enthusiasm for Ireland to join them in leaving the EU, short or long-term, and it is highly unlikely that the North will join the South. Northern Ireland is not the only stumbling block in the negotiations of course. There’s no going back to a condition of servile dependency. I don’t want to be misinterpreted as not caring about threats to peace, but even if one solved the Irish Border problem by having Northern Ireland stay within the Customs Union and Single Market, the huge problem of access to the GB export market would remain, as would the disruption to hassle-free trade with Continental Europe. 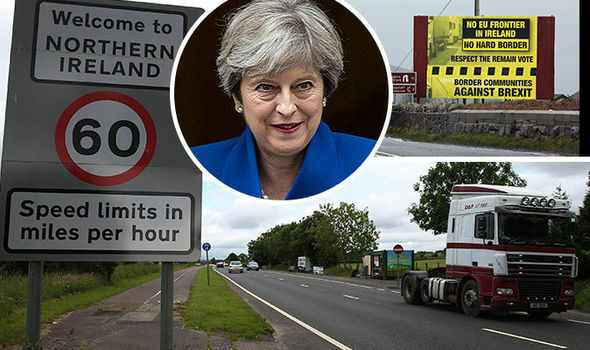 the UK decides to leave the land border permeable and instead enforce border controls between Northern Ireland and the rest of the UK, effectively treating Ulster as some kind of lower-status buffer zone which EU residents can enter without (effective) restriction. Likely to be singularly unpopular with Ulster Unionists. The UK releases Northern Ireland as an independent or quasi-independent country, long the preferred option for saloon bar racists of the home counties (with or without the “tow the whole lot out into the middle of the Atlantic” option). Moving the international frontier into the Irish Sea between Britian and the island of Ireland. This proposal is anathema to both Northern unionists and the British Conservative party as it affects the constitutional integrity of the United Kingdom. The matter is further complicated by the fact that the Conservative government is dependent on the parliamentary support of Northern unionist parliamentarians for retaining its majority – giving it strong reason not to upset this part of its coalition which it bought at the cost of a billion. A so-called invisible border between the Republic of Ireland and Northern Ireland simply would not work. Camera recognition technology and preregistered cargo — will not be effective on a border that passes the front door and back doors of houses. The border has always had a modest amount of smuggling as local tax differentials lead to imbalances, but with full-on export tariffs there would be a very substantial motivation for routing goods from the UK mainland to the continent via Stranraer-Larne and Rosslare-Le Havre on an industrial scale. So there would at the very least be a need for border guards on or close to road border crossings to channel goods vehicles into customs clearance facilities. Assuming the UK were to apply the same tariffs on imports, then the same would also apply in reverse.For Ireland, the issue of preventing Bad Foreign People from entering via its unsecured border is less important (indeed, the need to allow people to maintain existing social and economic links across the border is very important, bearing in mind that a very substantial proportion of the population of the north are Irish citizens)I don’t think the 450 million or so remaining in the EU are going to allow this to happen and be dictated to by Britain. I also don’t think the British people appreciate how ‘locked in’ Britain is to international supply chains for all types of goods and services. However, businesses will adapt to the new arrangements, whatever they might be. The usual capitalist combination of greed and stupidity will prevail – Ireland has no option but to stick to its guns. Theresa May can hope for no more than an “aspirational” and “purely political” agreement on free trade before Britain leaves the European Union. “Political agreements, with highfalutin aspirational guff are one thing. Legally binding agreements, treaty changes and trade deal texts are another. As with all things Brexit the only answer at the moment is we have no idea. And this is a scary prospect. It’s due to the EU and the UK and Ireland being part of this greater whole that the IRA and Ulster Unionists have largely given up their dumb assery. While overt attacks have stopped, the animosity between the two sides persists to this day in some parts of both countries. There can be no compromise to unblock any negotiations unless the rights of Europeans who will live in the UK after Brexit, the border between Ireland and the British province of Northern Ireland and the never never payments are resolved. No Westminster politician can set a boundary on Ireland. We can only hope that Theresa May government falls, resulting in a general election, with EU requesting a re vote.